Set back from the street is an interestingly sophisticated home; tongue & groove pine ceilings, casement windows, 1st floor master, HW, granite kit & baths, back stair case to bonus room. 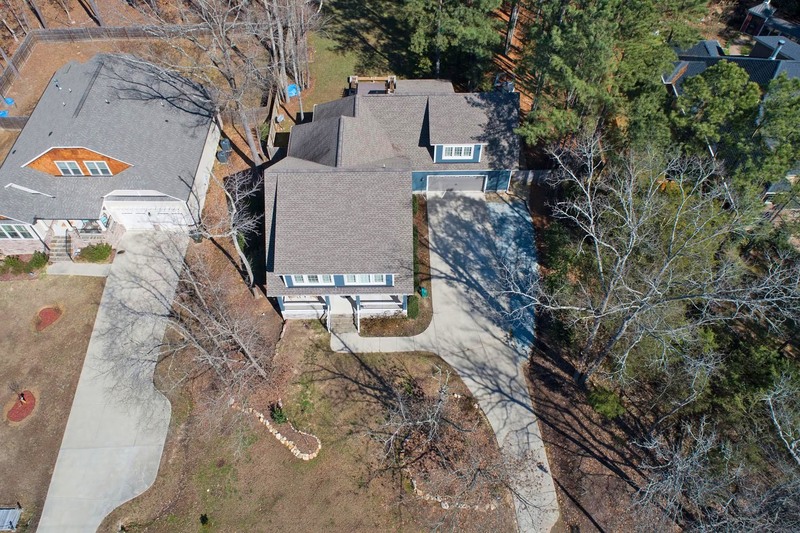 Easy access to RTP, RDU & Brier Creek. NO HOA. Lge wooded lot with level yard. Brick paver patio with fire pit & bench seating.